LOS ANGELES MOTORCYCLE ACCIDENT ATTORNEY REPORT: The LA motorcycle accident lawyers at Riderz Law have learned of a motorcycle accident from Van Nuys. According to LAPD, the motorcycle accident occured last Thursday morning around 8 a.m. 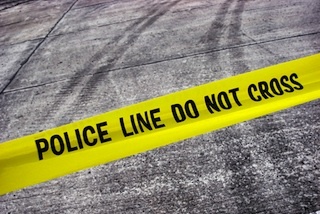 The police reported that Lucas Deindorfer, a 43 year old resident of Northridge, was riding his motorcycle on eastbound Saticoy Streeet through the intersection of Densmore Avenue when he collided with a late-model Nissan Armada sport utility vehicle making a left-hand turn in front of him. Mr. Deindorfer suffered critical injuries and was rushed to a nearby hospital. Tragically, Mr. Deindorfer succumbed to his injuries and passed away at the hospital. 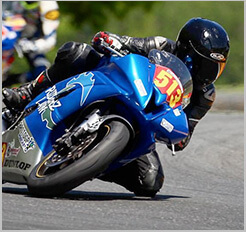 Our thoughts and prayers go out to this fallen rider and his family. As motorcycle accident lawyers in LA and as riders ourselves, we unfortunately see accidents caused by improper left-hand turns all the time. Far too often, drivers fail to pay attention to the road and to oncoming motorcyclists, turning directly in front of unsuspecting riders and leaving them no time to react or avoid an accident. The Police report does not indicate wither the driver of the Nissan stopped at the scene or has been cited for what clearly appears to be unsafe driving. If you have any information regarding the accident, please call LAPD Valley Traffic Division, (818) 644-8032, or (877) LAPD-24-7. Alternatively, please call the Riderz Law hotline at 888-5-RIDERZ.